Today, narrowing down on the very best airport transfer services in Melbourne can be a little challenging. After all, there are many to choose from, thus making it a bit tedious to choose one. You want a service that is able to transport you punctually to an event that is happening shortly after you arrived in Melbourne or can drive you comfortably to the airport from your hotel when your Melbourne trip is winding down. What you need is to do a little research to source for the best airport transfer service. At the same time, you should get to know more about Melbourne’s airports since you might be arriving or departing from different airports, especially if you are using a private charter jet service. Also known Tullamarine Airport, Melbourne Airport is the main airport that serves Melbourne and is the second busiest airport in the country. It is also the only international airport out of the four main airports that serve the Melbourne metropolitan area. The airport has a total of 56 gates: 16 are international and 40 are domestic. Having four operational terminals to cater to many international flights each day it is not hard to understand why this is the main gateway into Melbourne for many travellers. Avalon Airport is considered to be the second busiest airport serving the Melbourne area. The airport is operated by Avalon Airport Australia (AAA) Pty Ltd, which is a wholly owned subsidiary of Fox Group Holdings Pty Ltd. The site where the airport is located holds historic value as it was once the land of the original indigenous called the Wuthaurung People. Out of respect for the original owners, the scatter stone area is preserved even though the land has undergone multiple changes over the years. After Jetstar was introduced in 2004, the terminal facilities of the airport have since expanded from 732 square metres to almost 5,600 square metres. The airport has also received upgrades such as a Flight Information Display system. Located in the township of Coldstream in Greater Melbourne, Victoria, Coldstream Airport is a small Australian regional airfield. The earlier versions of the airport’s airstrip were first built in March 1962. The airstrip was built by Jim Doake, who is part of the family who still owns the airport. The Royal Victorian Aero Club operated the airfield from January 1996 as a flight training academy. However, the aforementioned committee decided to relinquish its operations and Bob Boyd, who was the school’s chief pilot, took over the reins. Former operations were then known as Yarra Valley Flight Training from 1st August 2011. Since last year, the runway was sealed and remains the only sealed strip in the Yarra Valley. Currently, the airfield is also used as a base of the Australian Centre for Missions Aviation. They are a Christian missionary group who uses the airfield to train pilots to be able to fly in Arnhem Land and Papua New Guinea. Lilydale Airport is a Melbourne-based aerodrome that is privately owned and is situated in the suburb of Lilydale, Victoria, Australia. It mostly caters to recreational and private pilots, and the airport offers air charters, flight training and aircraft rentals. Located at Essendon, Essendon Airport is based in Melbourne’s northern suburbs and is situated next to the Tullamarine Freeway. The area of the airport was previously known as St Johns, which is named after a landowner. In 1921, the Commonwealth Government proclaimed the airport as the Essendon Aerodrome. The Victorian Chapter of the Australian Aero Club renamed the airport as RVAC or Royal Victorian Aero Club. The club remained in Essendon until the end of the 1940s before it transferred to Moorabbin Airport. As part of the Essendon Fields development project, the airport was re-designed. It was essential to ensure that the airport could be used for aviation and non-aviation purposes in the future. 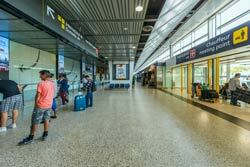 The airport also received major upgrades that include revamping signage and lighting systems. The aforementioned were needed to meet the standards of the International Civil Aviation Organization. RAAF Williams is made up of two bases of Laverton and Point Cook, and is located on the borders of Melbourne, Victoria. Until 1989, they existed as separate air bases and were later combined and thus RAAF Williams was formed. The name was carefully chosen to honour Air Marshal Sir Richard Williams from the Royal Australian Air Force. The airfields were also host to other activities which included the 1948 Australian Grand Prix. The racetrack was mapped out on the support roads and runways of the Point Cook Airfield. Moorabbin Airport is mostly used for general aviation purposes for lighter aircraft. 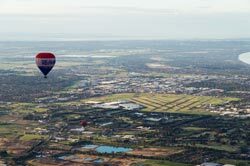 It is located in between several Melbourne suburbs of Mentone, Dingley Village, Cheltenham and Heatherton, Australia. The airport was first opened in December 1949, and the idea to name it “Mentone” was dropped for fear of a potential clash with another French airport which shared the same name. The airport is also home to the Royal Victorian Aero Club and has an air museum, control tower, five intersecting runways, helicopter terminals, as well as several flight training centres. Moorabbin Airport holds a consistent record of being the third busiest airport in Australia and averages 250,000 movements annually. The airport is also capable of landing turbo props, corporate jets, helicopters and twin engine aircrafts. Many private jet companies are also fond of using Moorabbin Airport as an arrival or departure point for their clients. If you are contemplating on hiring airport transfer transportation, we are able to provide first class airport transfers from any of these Melbourne airports. Whether you are coming to Melbourne for a business conference or for a leisure vacation, you will be highly satisfied with our quality airport transfer services that come complete with stylish vehicles.